We will build an Arctic cluster that will help boost shipments on the Northern Sea Route, leader of Russia’s biggest oil company Rosneft makes clear to the President. The Russian Arctic shipping route was high on the agenda when Igor Sechin this week sat down for talks in the Kremlin. The powerful company leader had with him the assurances that the president desired. «We are now looking at the possibility to create an Arctic cluster that will fully meet the objective to reach an annual 80 million tons of goods on the Northern Sea Route by year 2024,» Sechin underlined. The projected cluster will include an oil pipeline between the Vankor oil fields and the Arctic coast. 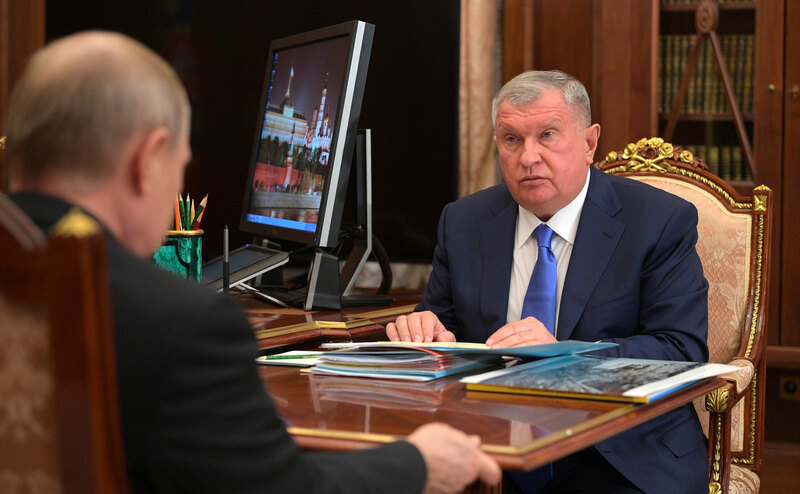 According to Sechin, the projected cluster will be ready by 2024 and six years later, in 2030, up to 100 million tons of oil will have been pipelined out of the area. «It will be on the basis of our own existing and future projects in the Arctic region, including the fields of Vankor, Suzun, Tagul and Lodochnoye,» Sechin told the president. He also made clear that the new cluster will include several of the company’s planned projects in the Taymyr area, including the major field recently discovered in the Khatanga area. Rosneft in late 2017 announced that it had found at least 80 million tons of oil in the Tsentralno-Olginskaya-1 well. The resources are located partly offshore in the Laptev Sea, partly in the eastern part of the Taymyr Peninsula. Sechin also indicated that his company’s projected new Arctic hub could include the Yermak field, a project developed together with BP. 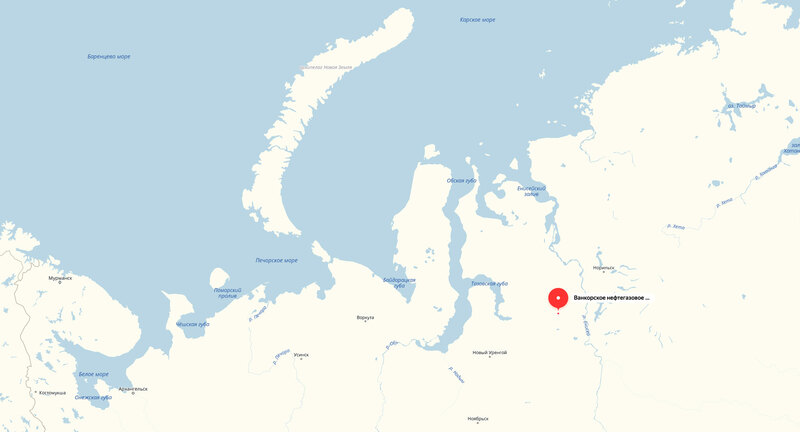 With the assurances from Sechin, the Kremlin appears within reach for its ambitious 80 million tons of goods on the Northern Sea Route by 2024. State officials have grappled over how to reach the target laid down in Putin’s so-called May Decrees. The new infrastructure proposed by Rosneft could offer them some relief. Shipping on the NSR is booming, much thanks to Novatek’s new major LNG projects. But shipping volumes are unlikely to be close to the 80 million tons target without Rosneft’s pipeline from Vankor. In 2018, shipping volumes on the Arctic route amounted to more than 18 million tons of goods, an increase of 68% growth from 2017. The new pipeline from Vankor would be about 600 km long and stretch across the north Siberian tundra, across the great River Ob and all the way to Dikson on the coast of the Kara Sea. However, the development of Rosneft’s new Arctic cluster, including the new Vankor pipeline, will not come without conditions. Igor Sechin made clear to Putin, that favorable investment conditions are needed. That includes tax benefits, facilitation of regulatory issues and long-term guarantees, the Rosneft leader underlined. There must be economy in it, the company leader made clear to Putin. «Considering the presence of alternative logistical solutions, the Northern Sea Route must provide a project economy that is no worse than the alternative routes,» Sechin said.